The Harold Dondis Memorial on Saturday was a great success. The 39 player field was strong and competitive - the open section was won by FM Alex Katz (4.0). David Martin (3.5) led the U1800 section. Rajesh Shanmugasundaram, Alexander Katz. BCC Harold Dondis Memorial 2017. The tournament was managed smoothly by the TDs Bernardo Iglesias and Natasha Christiansen. Tony Cortizas, Jr. took some fine photos you can view here. 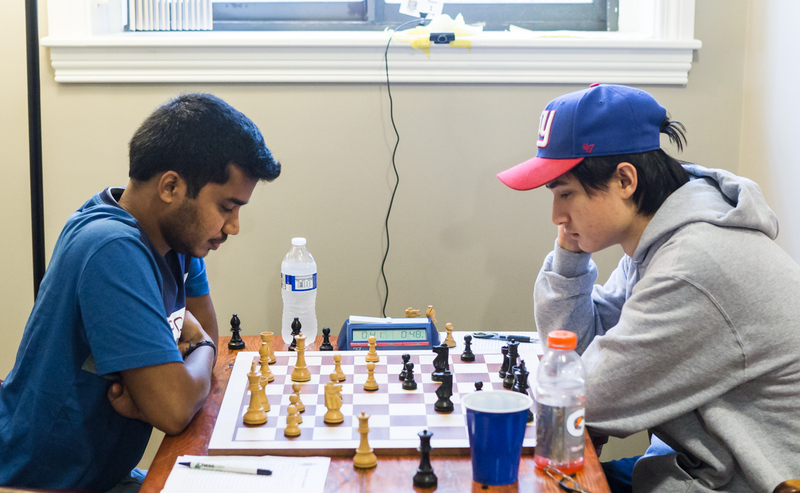 29 players competed in the open section, which included 9 masters.